Don’t miss student night tonight! It’s time to try one of Korea’s yummiest food / drink combinations…. 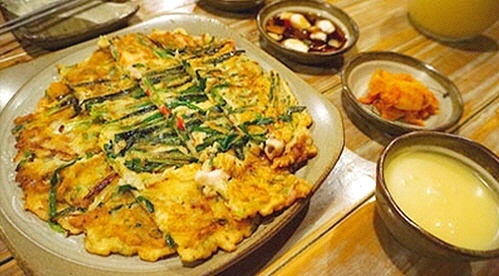 Pajeon and Makgeolli….yummy by themselves, but in combination absolutely delicious! If you haven’t signed up already, make sure you get your name down at Reception as soon as possible! Previous postWho will I meet at Lexis Korea? Next postStudent Night at Gangnam!